Amber Nielsen Crouch, our little Ams, returned to the arms of her Heavenly Father on Monday, November 26, 2018 at the age of 19. She came into this life fighting on May 13, 1999 to her parents, Ray and Tori Nielsen of Richmond, Utah. She was greeted by her sister, Railee, and brothers, Devin and Ty, who have an eternal love for her. 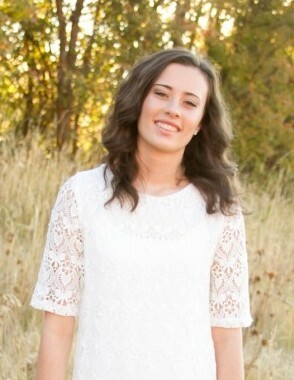 Amber grew up in Richmond, Utah with a loving family and an abundance of friends. She was active in the Church of Jesus Christ of Latter-Day Saints. She loved being in the Young Women's Organization and camping. Amber graduated from Sky View High School and from Seminary in 2017. She disliked school but was determined to succeed and was able to accomplish a 4.0 for two trimesters. Her favorite part of school was the greenhouse. She loved watching her brothers play basketball and was always there to cheer them on. Amber was a joy to be around. She could light up the room with her contagious smile and spirit. She always wanted to do what was right. It was never in her disposition to do otherwise. The only time she wasn't happy was when she was hungry. Amber loved going to ballgames with her dad. She was an avid BYU fan through and through. She loved shopping with her dad each Saturday and visiting her grandparents each Sunday. She worked at Lee's in Smithfield and enjoyed her friendships there. Amber met the love of her life after being set up by a cousin. She and Kade went mini golfing and after an awkward high-five it pretty much sealed the deal. She married Kade Crouch on September 7, 2018 in the Logan LDS Temple where they were sealed for time and all eternity. Kade and Amber's dream was to relocate to Swan Lake, Idaho and continue to live their dream. She just could not stop smiling after she med Kade. Amber is survived by her husband, Kade Crouch, parents Ray and Tori Nielsen; two brothers; Devin Nielsen, Ty Nielsen (Sophi) , and one sister; Railee Buttars (Jason); grandparents, Bruce and Carol Hodges, and H. Ward and Nancy Nielsen; as well as Sheryl Hodges; nieces and nephews; Audrey, Hayden, JaceLee, Macklynn and CharLee. Amber is also survived by Kade's parents, Joel and Sarah Crouch, three sisters in law; Abby (Coulton) Gilbert, Oakley, and Paizley, and brother -in-law, Chett; nieces and nephews; Max, Sadie, and Jace and many cousins; Kade's grandparents, Craig and Becky Smith; Joel and Renee Crouch.